Savannah Scene magazine is available FREE at more than 300 locations in Savannah and surrounding areas. The guide provides a comprehensive view of what Savannah has to offer in the way of shopping, dining, activities and happenings. If you would like to preview Savannah Scene before your arrival, you can view the guide online by clicking on the magazine above. Lowcountry Leisure Guide is available FREE at more than 350 locations in the Hilton Head Island, Bluffton, Beaufort and Savannah areas.The guide provides a comprehensive view of what the areas have to offer in the way of shopping, dining, activities and happenings. 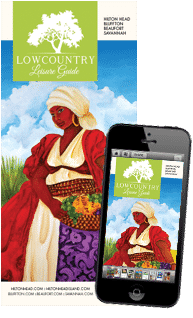 If you would like to preview the Lowcountry Leisure Guide before your arrival, you can view the guide online by clicking on the magazine above. 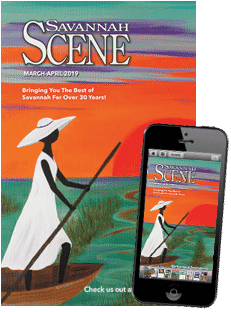 Mailing a Magazine: To receive a physical copy of Savannah Scene, please send $5.00 for postage and handling along with your name and address to: Savannah Scene, c/o Island Communications, P.O. Box 5511, Hilton Head Island, SC 29938. 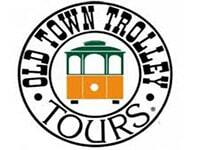 Old Savannah tours is the only locally owned and operated Trolley Tour Company in Savannah. For over 30 years we have been providing both overview and on-off tours of this beautiful historic city. Fresh breakfast items, sandwiches, salads, coffee and espresso drinks at modest prices. Downtown delivery available. Be sure to try our world-famous bread pudding. Family owned and operated. Winston’s Wine Cellar can be as formal or as relaxed in its style as you choose. Be it an upscale wedding reception or a casual birthday cocktail party, we can offer you exactly the right atmosphere for your event. 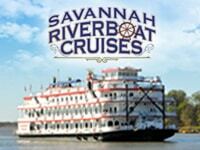 Enjoy an evening of dinner, live entertainment, and an unforgettable tour of Savannah on a sightseeing Riverboat cruise.